Good things are growing out in front of Western Blvd. Presbyterian Church. 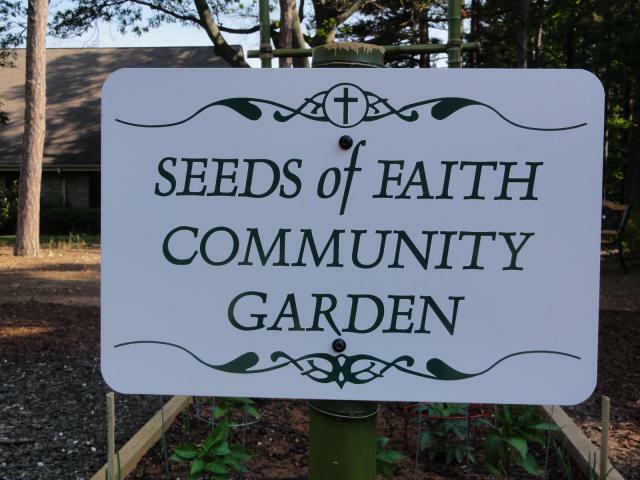 From holes in the ground, to shifted and amended soil, to seeds and plants, our garden is growing. We have begun to harvest lettuce, herbs, radishes and onions. 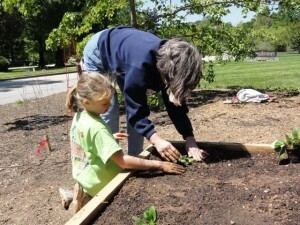 Garden membership is open to anyone willing to invest $10 and 10 hours. 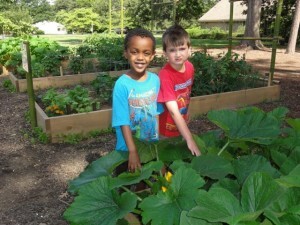 Part of our harvest is shared through the “Plant a Row for the Hungry” program at Logan’s. Henry Burke and Larry Shelton are the organizing force behind the garden. Goodness is growing! 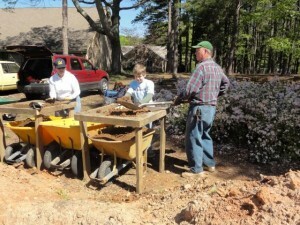 The garden work began with preparing the soil. The dirt was dug out and sifted and mixed with humus. 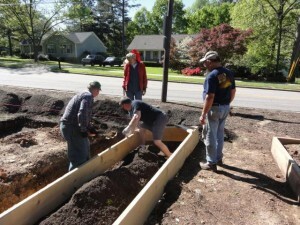 Raised beds were prepared and planting began. Soon the vegetables were planted. 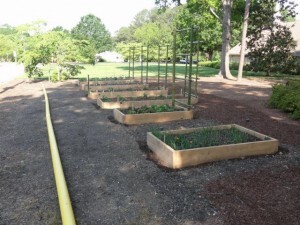 There are onions, lettuce of several kinds, pole beans, squash, cucumbers, tomatoes, radishes, herbs and marigolds. 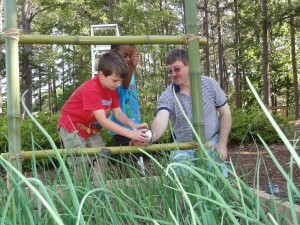 Bamboo poles were placed and fishing line installed for cucumber, and beans and perhaps other vegetables to run on. With good soil, good watering and nice rains the vegetables are growing quickly. By May 20 there are large squash plants with nice blooms and other vegetables are growing and onions and radishes are being harvested.